Aging in place is when people decide to live in their own home as they get older rather than move to assisted living. It can also refer to elderly care in the home of a child or other family member, whether in a granny flat or an attached senior apartment. 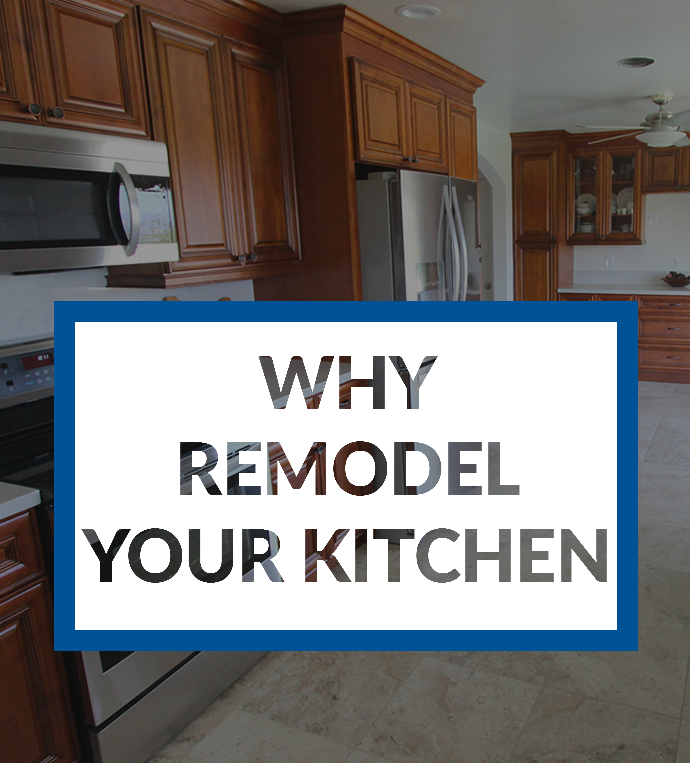 Aging in place remodeling focuses on retrofitting your home and lifestyle so that you can remain in your own home as long as you would like to. For many people, retiring in your own home has some very real benefits. It allows you to stay in the communities you are familiar with and maintain your independence. Staying in your own home is also much cheaper than paying for assisted living. However, many homes aren’t equipped to handle the needs of elderly individuals. Most commonly, seniors need accessible housing that can accommodate for things like reduced vision, hearing loss, illnesses, and decreased mobility. Luckily, many of the changes are easy and inexpensive to make. TR Construction can work with you to retrofit your house to bring it in line with universal design or accessible design principles. You will want to have at least one entry into your home that doesn’t have a step. For seniors, stairs can be a major trip hazard. Plus, if you are in a wheelchair or use a walker, you will need to be able to get into your home without having to navigate stairs. To solve this problem, many homeowners install a temporary ramp to the front door or they may tear out front walkway steps and replace them with a gradual cement ramp. Another option is to create a side entry to your house by adding another door. If you are in a wheelchair or scooter, it can be hard to get through doors or narrow halls. You may need to widen the front door of your home or the interior doors. Taking out hallways by opening up living spaces is also a good way to eliminate halls and give you enough room to turn your wheelchair around. 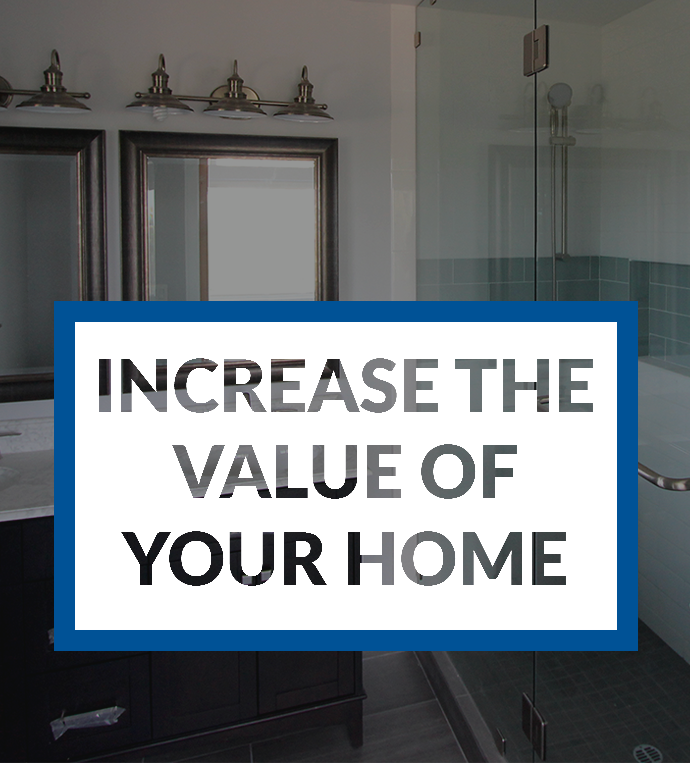 Plus, remodeling to achieve a more open floor plan can also increase the value of your home. As you get older, it will get harder to clean and maintain your home. 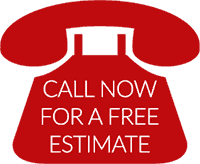 If you have any problem areas or features in your home that are difficult to keep clean, now is a good time to fix them. For example, if you have a tile floor or counter that is impossible to keep clean, think about switching it out for something that is easier to maintain. Even if you aren’t in a wheelchair, you want to work at eliminating as many steps as you can in the house. Trips and falls are a major problem for seniors and can result in serious health problems. If you have a two-story home, you might need to move your master bedroom and a full bath to the downstairs. If you still want to be able to access the upstairs, you can install a home elevator or stairlift. Recent improvements in technology have made these much more cost effective. At the very minimum, you will want to make sure your stairs have adequate stair railings. If you have a dropdown living room, you will want to eliminate the extra step. And make sure any stairs are well lit with light switches easily accessible at both ends. Heavy and hard to open doors and windows with difficult latches can be problematic for seniors, especially if they have arthritis. Door handles, locks, and window latches should be easy to open. Installing grab bars by the toilet or shower. Increasing the size of the bathroom to allow for more maneuverability. 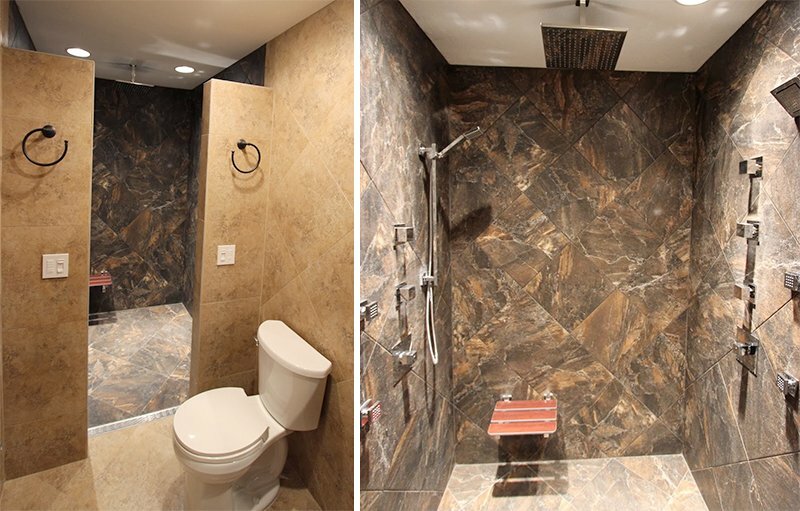 Installing a walk-in tub or a barrier-free or curbless shower. Installing a fold-down seat in the shower. Installing an adjustable, handheld showerhead. Increasing the height of the toilet. Kitchen counters may have to be lowered to make them more accessible and you may want to lower your upper wall cabinets. Pull-down shelving can also be a good option. You will also want to be sure that all your appliances are easy to reach and that you can easily read any controls. Flooring should be smooth and slip-resistant. Carpeting can be helpful to help protect from falls, but it should be low pile and with a firm pad. Watch out for transitions from a hard floor to carpet or for small steps. People who decide to stay in their own homes are happier and enjoy being able to stay in familiar surroundings. Aging in place remodeling and retrofitting your home to fit universal design principles can go a long way to improving your quality of life.